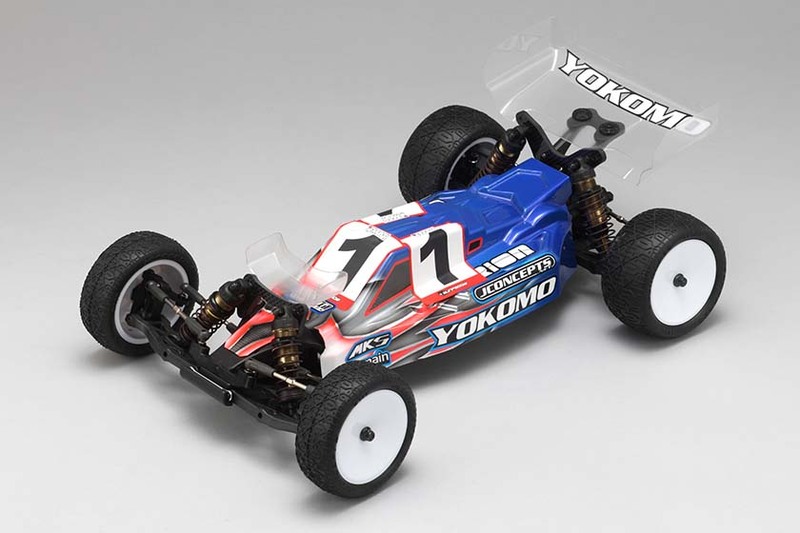 Yokomo’s YZ-2 DTM achieved the perfect Win at the 2017 IFMAR 1/10 Electric Off-Road World Championship in China. 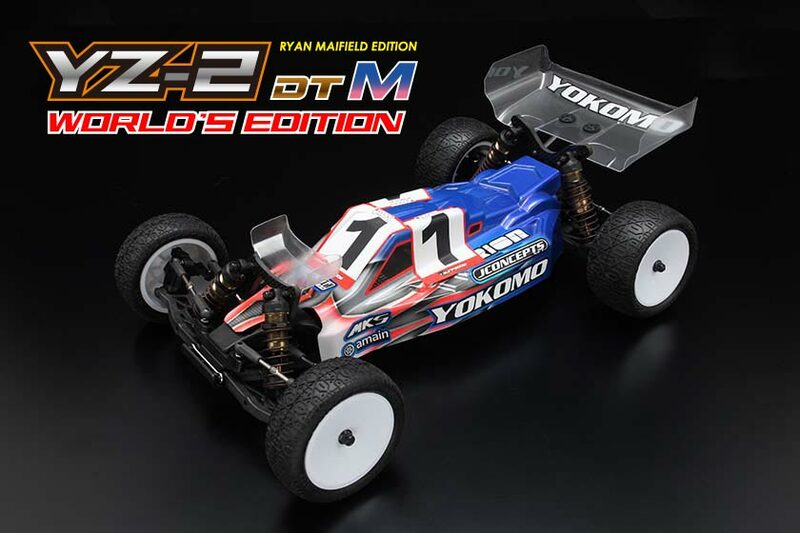 Yokomo Factory Driver Ryan Maifield TQ’ed & Won the prestigious 2wd Buggy IFMAR World Championship and Lee Martin qualified 2nd and finished 3rd. These great results were possible by a perfect collaboration effort between our Factory Drivers & Engineering Team. 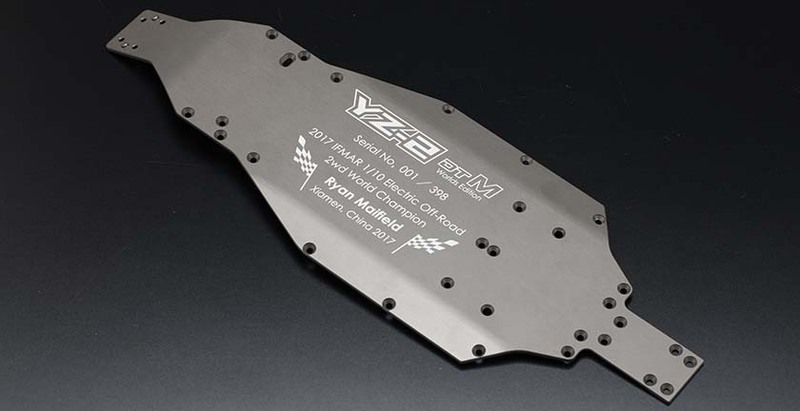 The World Championship Winning YZ-2 DTM was equipped with our newly designed option parts tested & developed especially for this World Championship. 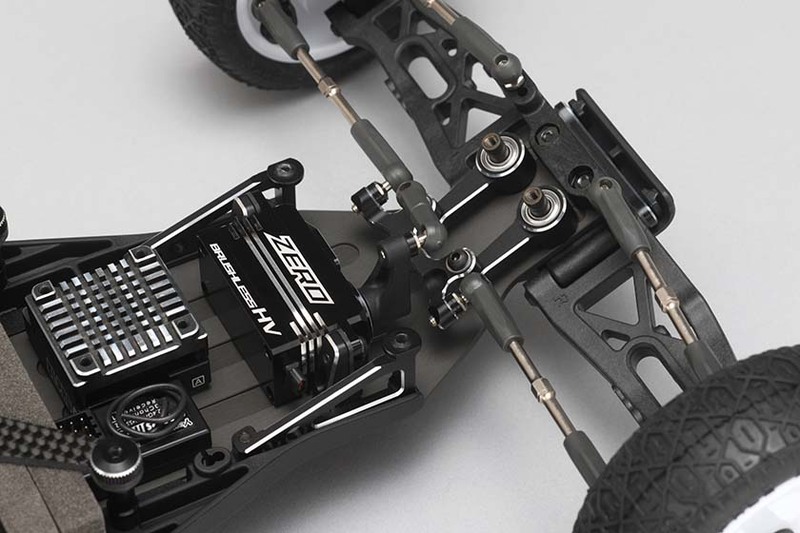 Each kit will include a serial number which is also listed on the back of the chassis plate as part of this Limited Edition run. ■ アルミ製 ステアリング ベルクランク セット NEW!! 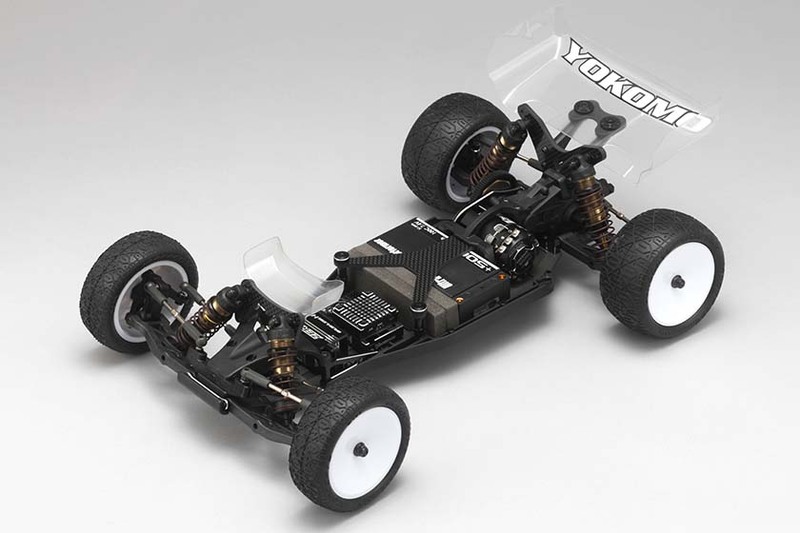 ■ アルミ製 リヤサス マウント(前後) NEW!! 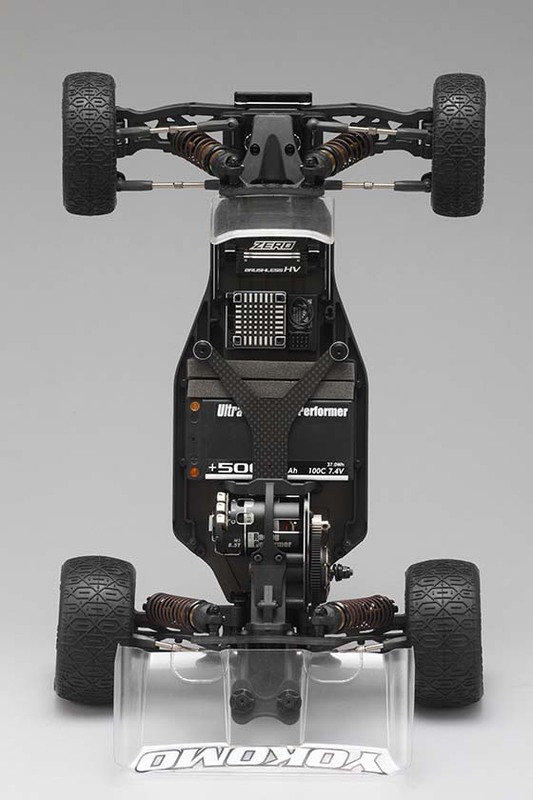 On the back side of each chassis is our World Championship Limited Edition logo along with an individualized serial number. Only 398 total kits were issued to celebrate this great accomplishment. 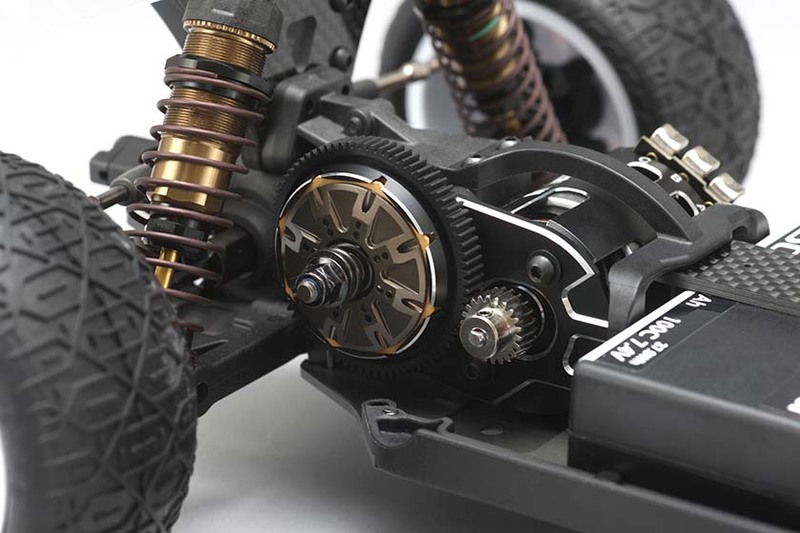 The newly designed Aluminum Bell Crank and Center Link was made to improve steering response. 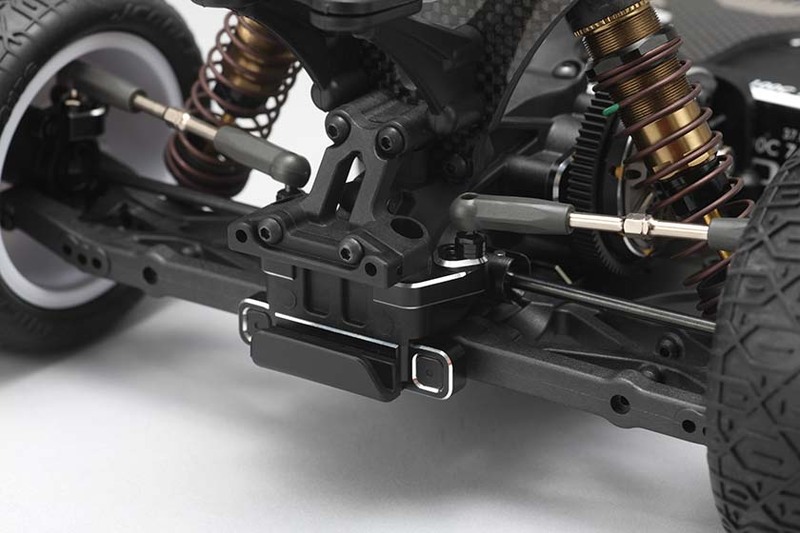 Also, the Aluminum Bulkhead Mount now comes standard in the kit. 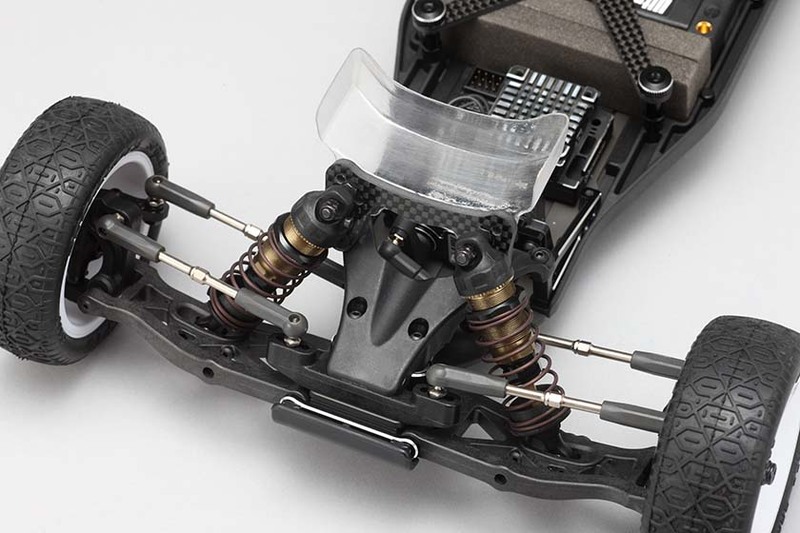 The JConcepts Front Wing kit is included to help improve the overall steering. This also helps the car to jump with ease. 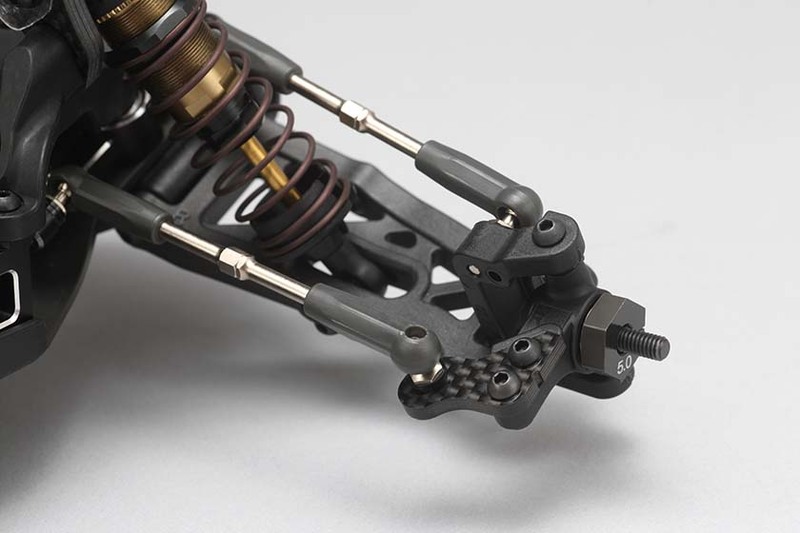 The newly designed Gear Box Support from the chassis to transmission case allows for more flex to help increase traction and provide stable cornering. 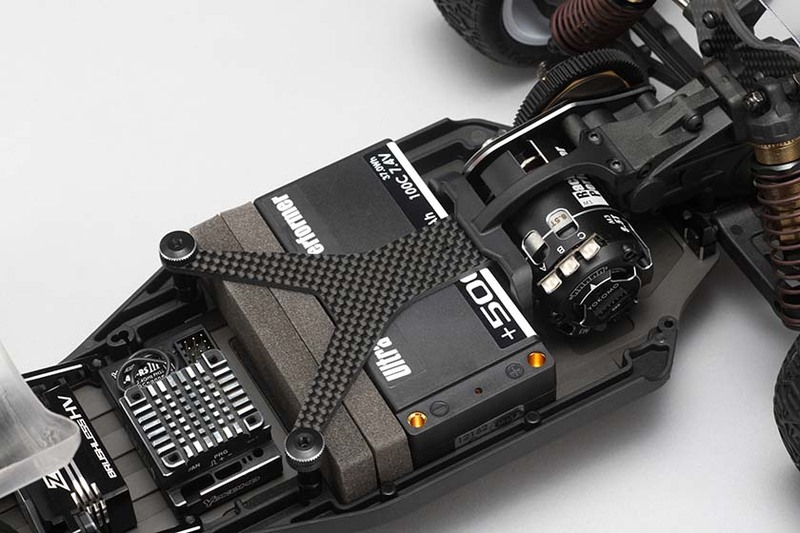 The Aluminum 3G Motor Mount is included and easily adjustable. 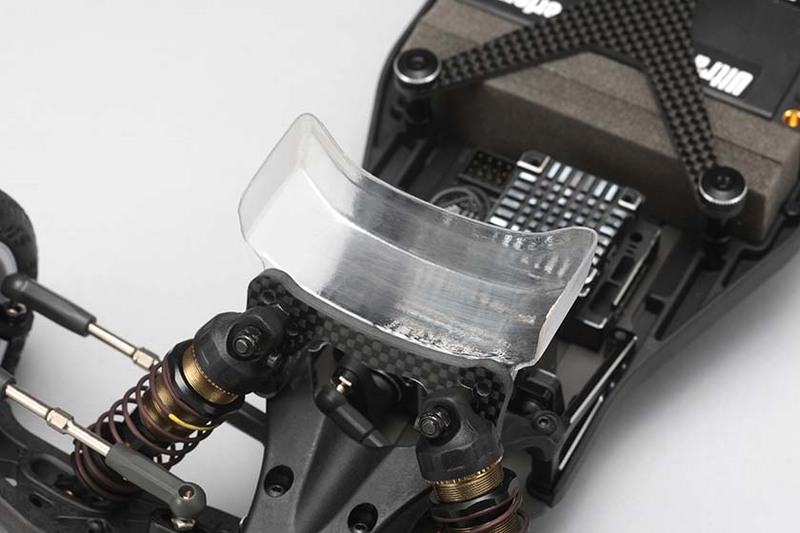 Also, included is the Newly Designed Slipper Assembly and Ventilated Slipper Plate to provide a super smooth power delivery. 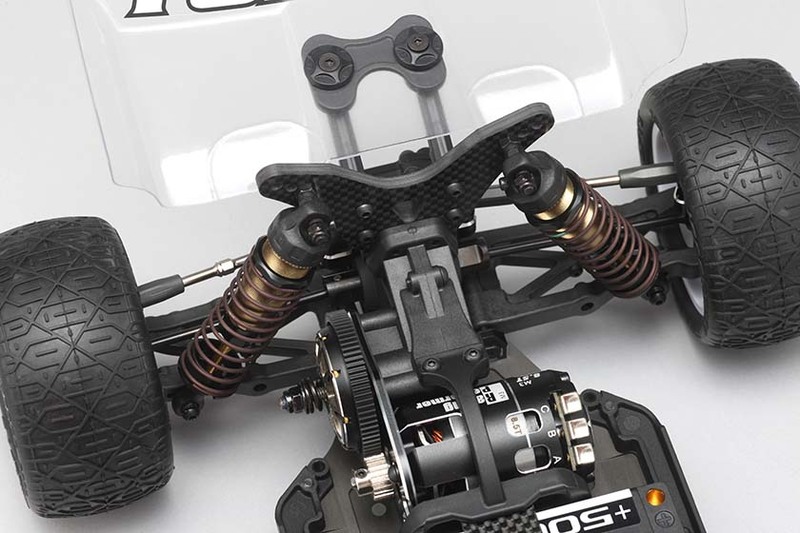 The Aluminum Rear Upper Arm Mount helps add strength to this key part of the car. 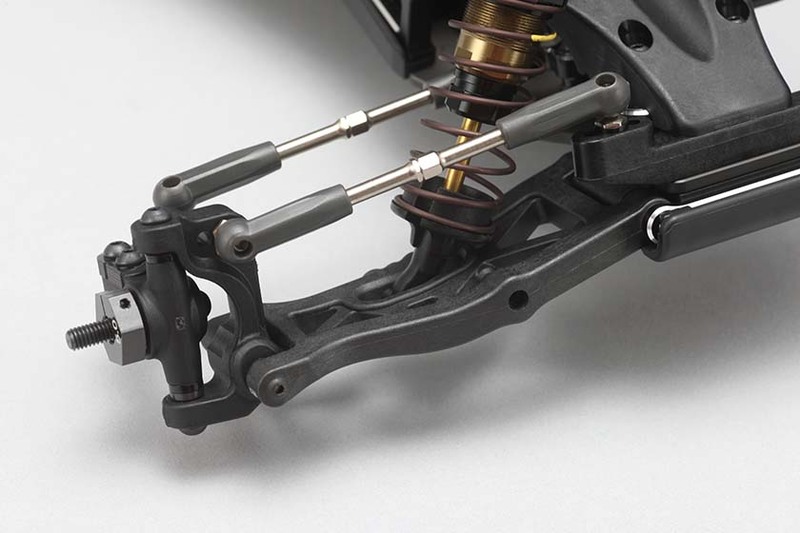 Also, the New Aluminum Rear Suspension Mounts were made from a upgraded material to help strengthen. 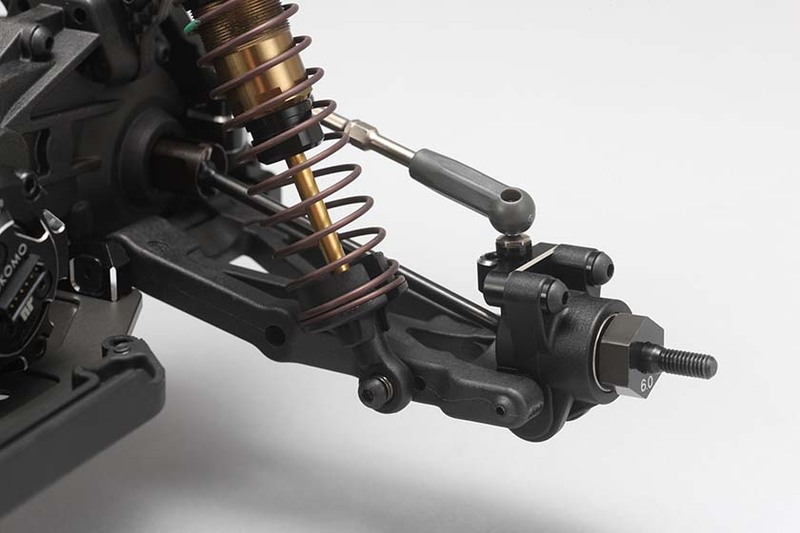 Changing the suspension pills is quick and easy.